We return in episode six with Kim Havell, one of the most accomplished ski mountaineers of the last 25 years. Havell has skied on all seven continents, with first descents on four, and has adventured in over 50 countries. During her travels, Kim has climbed and skied big peaks in the Himalaya, Andes, Karakoram and the Americas. Perhaps most impressively, Havell insight skied the Grand Teton, one of the most coveted ski descents in the United States. She also has numerous first female descents across the western United States, including Wyoming’s notorious Otterbody on the Grand Teton. 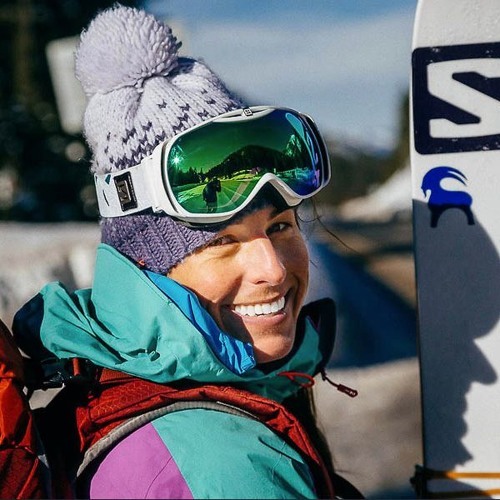 In 2014 Havell became the first woman to ski-guide the Grand Teton, for which Outside Magazine named her the “preeminent female ski mountaineer of our time.” In our chat, Kim talks openly and sincerely about how she balances being a professional athlete and a mother, how humility is the single most important lesson the mountains have taught her, how she coped with losing eight friends in a single year, and the power of not placing limits on ourselves. Intrigued and inspired by Kim Havell? Check out more here: Instagram: @kimhavell Outside Magazine interview: https://www.outsideonline.com/1910591/friday-interview-kim-havell Powder Magazine Otterbody Descent coverage: https://www.powder.com/stories/kim-havell-takes-a-female-first-in-the-tetons/ Check out The Cowboys Fiddle (@the_cowboys_fiddle) on Instagram to enjoy more of their music. This duo of 13-year-old Elia Schreiber and Declan Mack are responsible for the wonderful music of Afterglow’s second season. @user-633424210: glad you enjoyed it! Thanks for the kind words.